Stop for Science: Soft Pretzel Time! On our way back from Prague last summer, Joe and I had a layover in the Frankfurt airport. It wasn’t very long, and knew we’d have to board pretty quickly after going through customs. As we stood in the lengthy line to board the plane, a smell caught my nose. There are a few foods that I can sniff out like a bloodhound. One of them is quite possibly the only food I won’t pass up (if it’s fresh! ): Soft pretzels. 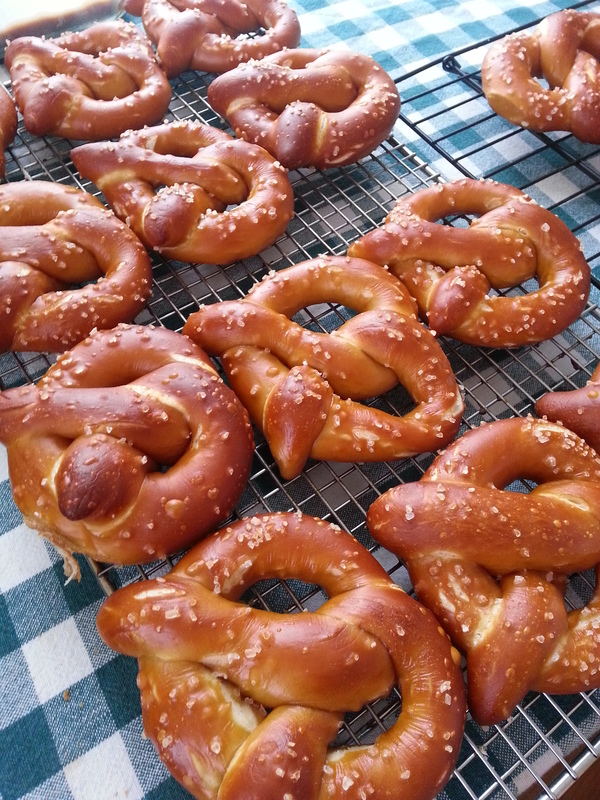 Yes, we all know by now that the carbo-queen loves her bread, but pretzels are special. Their taut, thin outer crust, mahogany brown color, coarse bits of salt, slight malty flavor, and soft pillow-y middle make them a special kind of snack. And of course, warm ones are best. Just about every pretzel I ate while we toured Berlin (and it was probably a two digit number) met these criteria. All that had to happen was for me to see a sign that read ‘laugenbrezel’ and Joe nearly lost me on the street as I followed my moth-like trance toward pretzel glory. The line was maybe 3 or 4 people long, and unlike American mall pretzel vendors there is only one “flavor” to choose. It moved swiftly, but I could see Joe worriedly moving toward the front of the boarding queue. Three hot soft pretzels in a paper bag later, I sprinted through the airport a la the family from “Home Alone,” and onto the plane for the final leg of our trip home. But as delicious foods are, they were gone all too soon. Needless to say, I declined dinner on the flight. Every time since that I found myself in a bakery, my eyes scanned longingly for that characteristic shape. I won’t say that I got snobby about it, but I was honestly disappointed most times that I found them around here. Either they were simply bread rolled into a pretzel shape, or heavily glazed in butter, or had a funny aftertaste, or were sadly stale and dry. Even most street vendors transitioned to using the pre-frozen variety…which just never live up to how nice they look. So, it was time to bake. 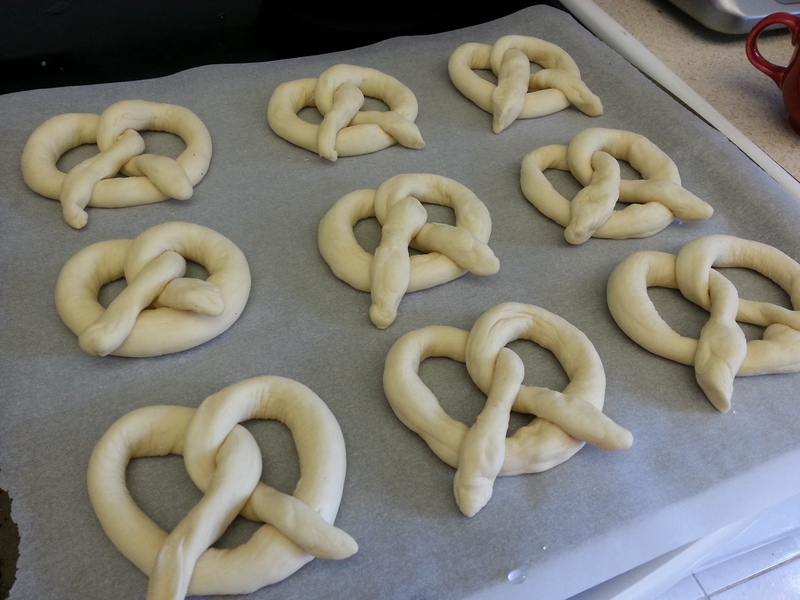 First, I had to learn what made pretzels different from other breads. It turns out that one simple step makes all the difference. And it might scare you. A little bit. Lye. Yes, drain cleaning, soap-making lye. Before you wonder, yes a food-grade version is available, and no you should not use that bottle of drain cleaner from the hardware store. Lye (sodium hydroxide for the scientifically inclined) is an alkali solution that changes the pH of the dough in such a way that it helps the crust gelatinize, achieve the dark color, and even makes the salt stick. It’s also responsible for the distinct pretzel flavor and texture of the crust. 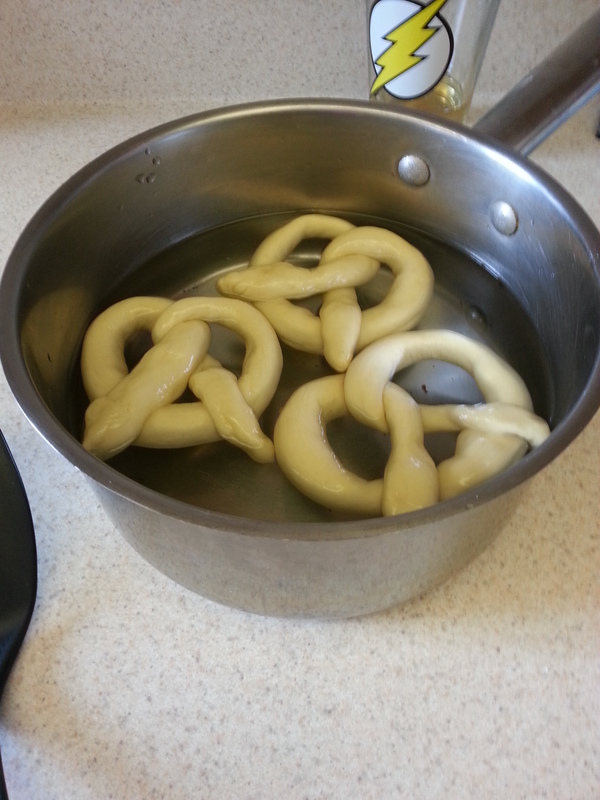 Many home pretzel bakers forgo using lye because it requires some extra precaution due to its caustic nature. Instead, they use a solution of water and baking soda. It produces a similar result, but not the same flavor. And unfortunately, after they cool, the pretzels develop a weird metallic taste. I can’t (or shouldn’t) eat an entire batch of pretzels while they’re still warm, so I’d rather be able to keep them around longer and get that authentic flavor. One that will remind me forever of beautiful days walking around Berlin with the love of my life. What could be better? 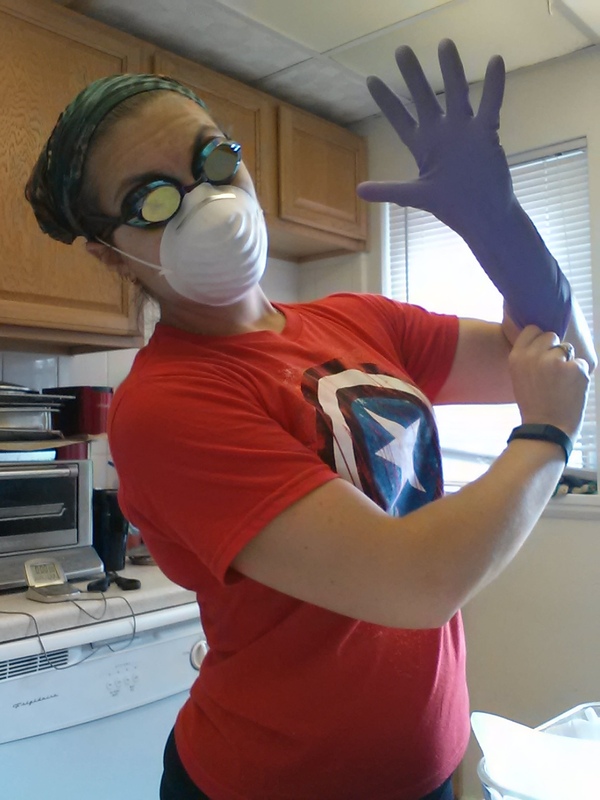 Plastic gloves, safety goggles, vinegar, and nonreactive pans and utensils. Proof the yeast by dissolving it in ¼ cup warm water, along with 2 tsp. sugar. Let the mixture sit until foamy, about 5 minutes. 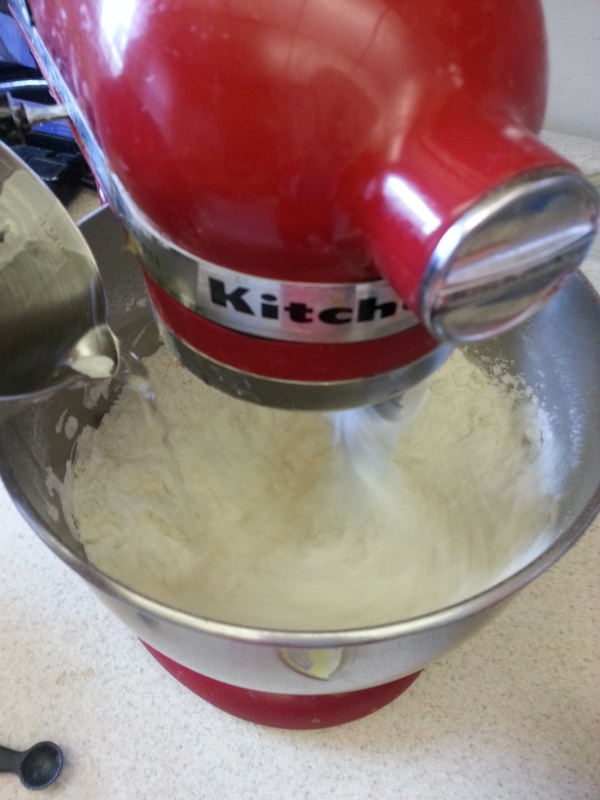 In the bowl of a stand mixer, combine the bread flour and salt, then add the yeast mixture and full cup of warm water. 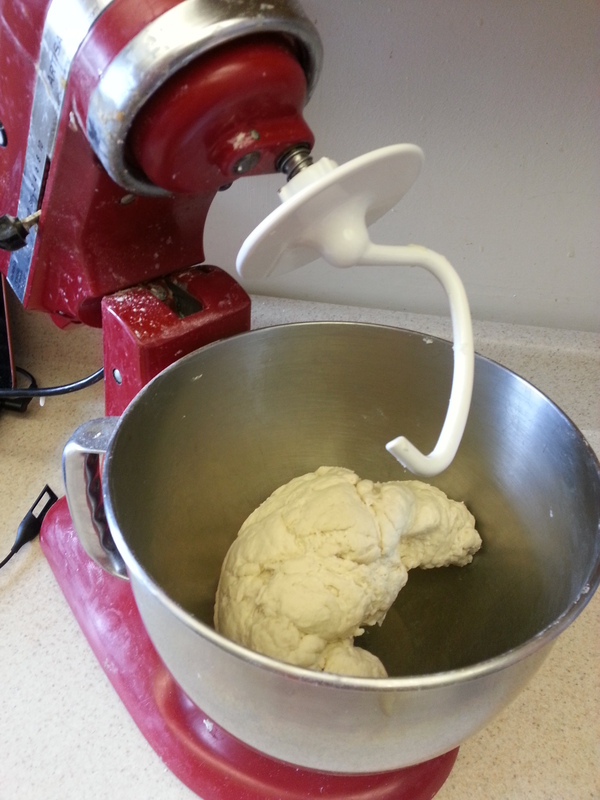 Once the dough comes together, knead it for 5 minutes with the dough hook or by hand. 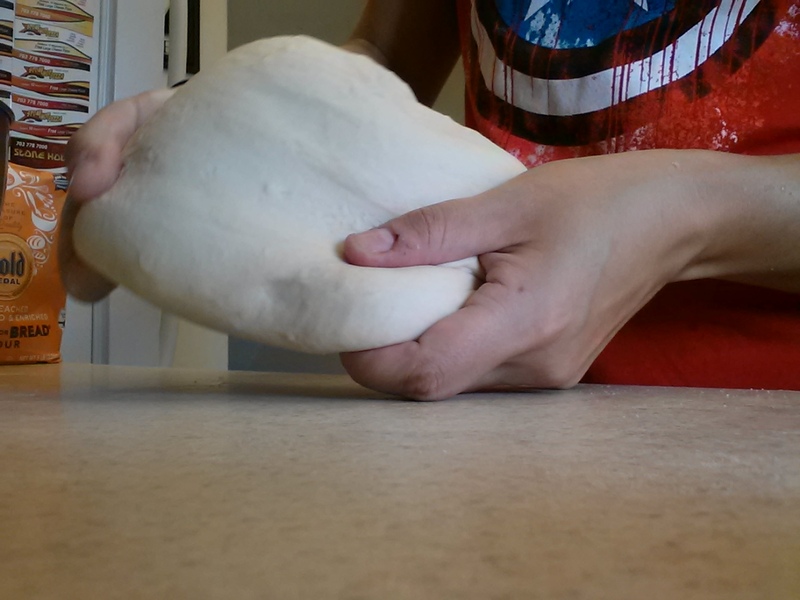 The dough will be very stiff. 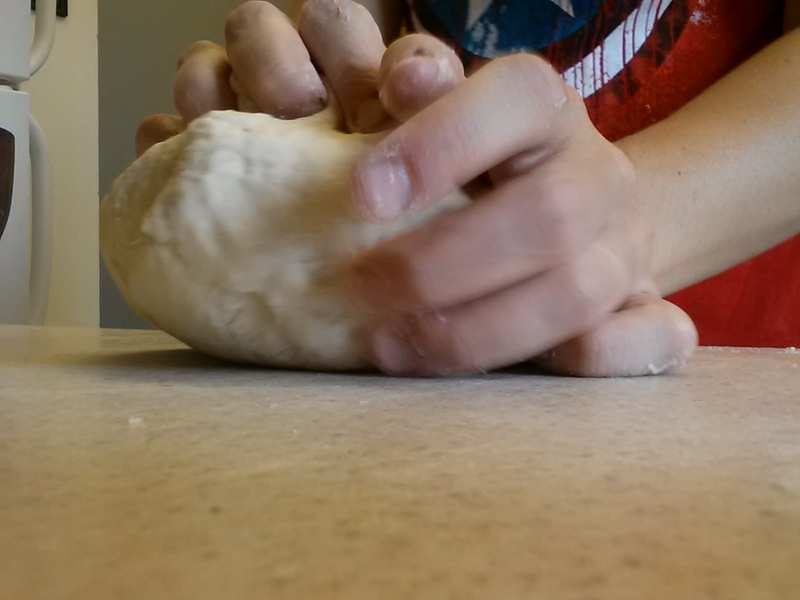 Allow it to rest for 5 minutes, and then start kneading in the butter. 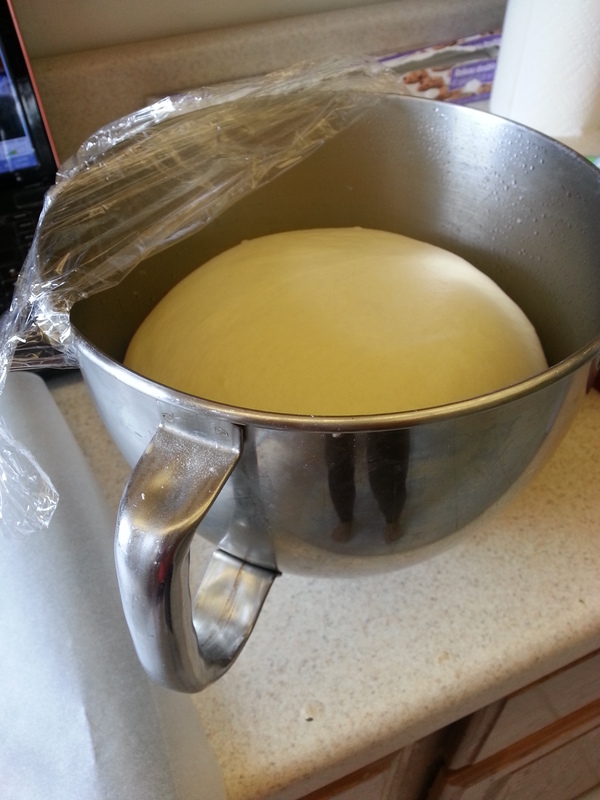 Knead for 5 minutes, or until the butter is completely incorporated and the dough is very smooth and elastic. 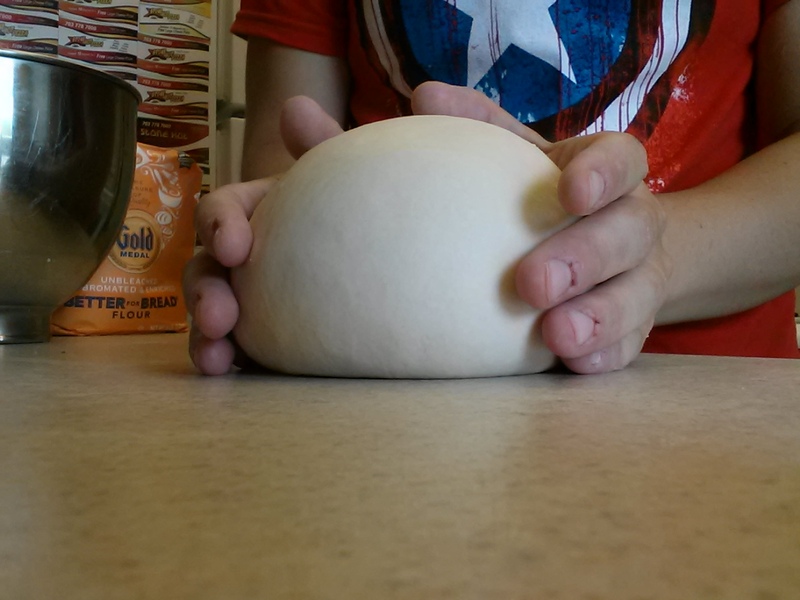 Roll the dough into a ball and place it in a lightly greased bowl. Toss to coat the dough ball in oil, and then cover the bowl and allow the dough to rise for an hour, or until doubled in side. Degas and divide the dough into approximately eighteen 2 oz. pieces. 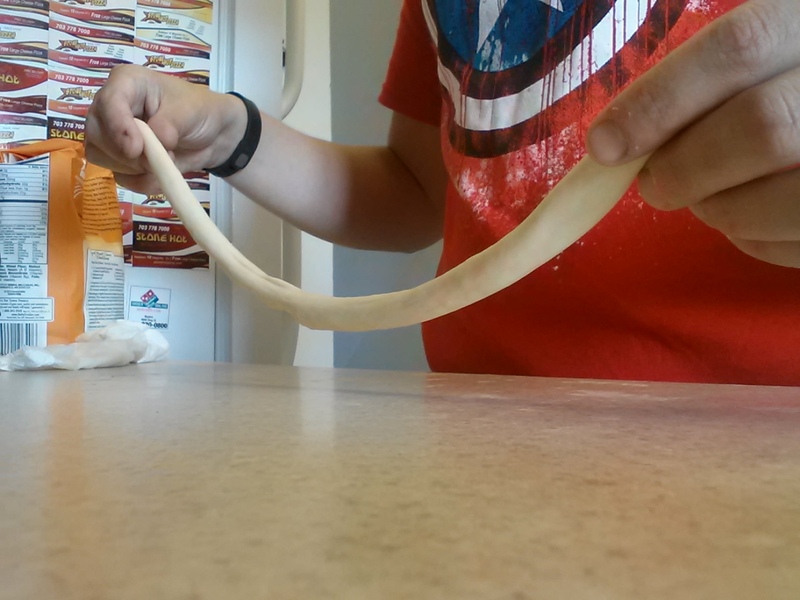 Roll each piece into a foot long rope. 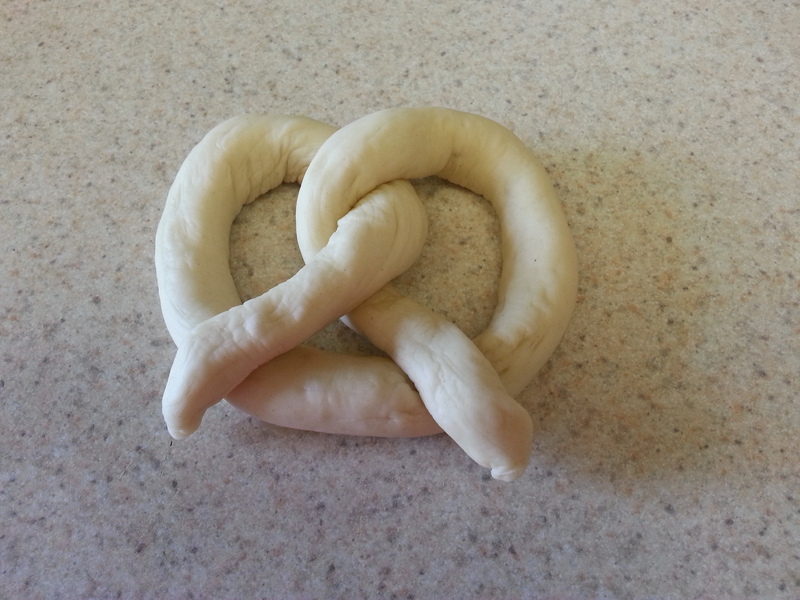 Rest for 2-3 minutes and then shape the pretzels. 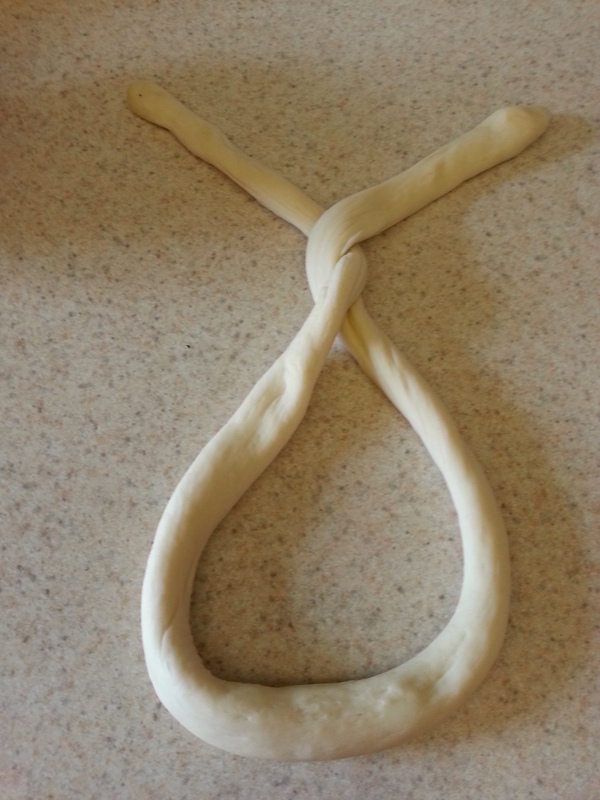 Take a rope of dough, roll it out another 6 inches and then twist into a pretzel shape. Glue the “arms” down with a dab of water. 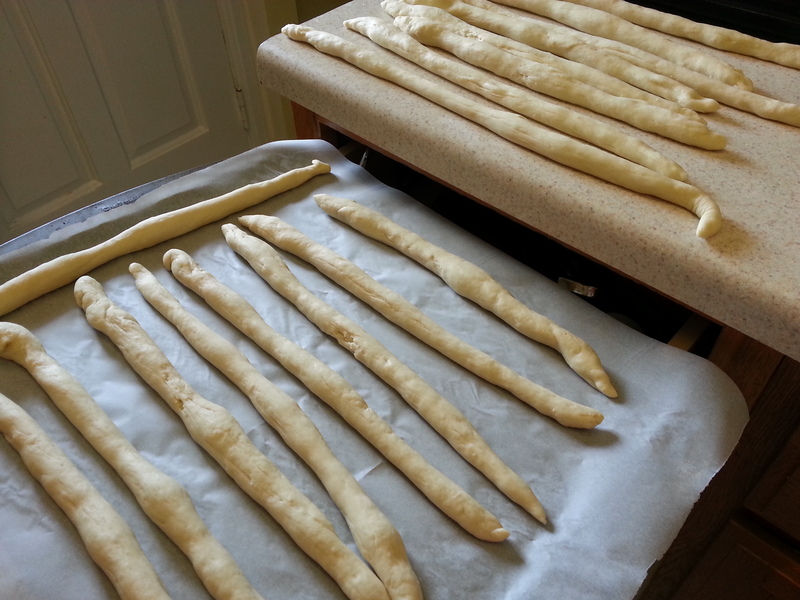 Set the pretzels on two baking sheets lined with parchment paper and refrigerate for one hour. The surface will dry out and a skin will form on top: this is a good thing! Put on plastic gloves and safety goggles. I wear a surgical mask too, but mostly because I’m short and my face is very close to the pot. Wipe the surface of your work table with some white vinegar, and keep a small glass of the vinegar nearby. It’s unlikely that there will be any bad reaction, but if there are vinegar will neutralize the reaction almost instantly. 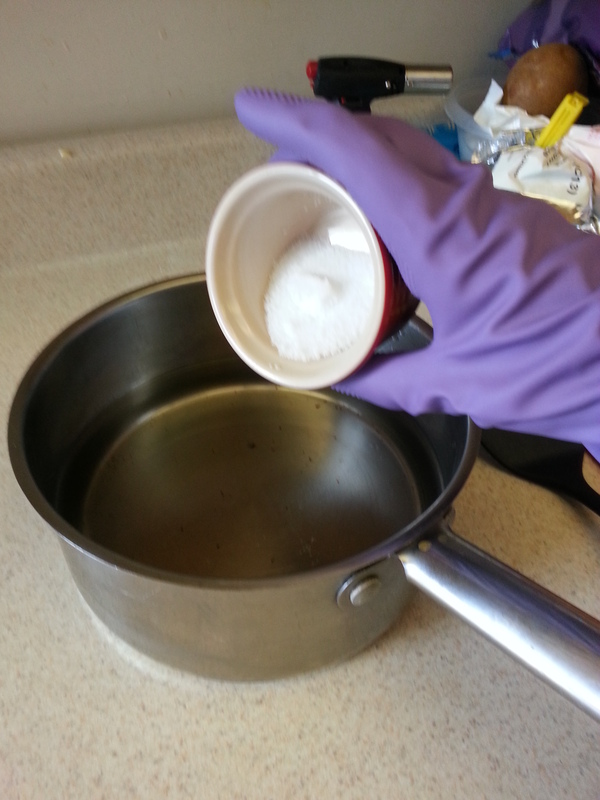 To make the lye solution, measure one quart of cool water into a nonreactive saucepan. Slowly add one ounce of food grade lye and stir gently to dissolve. ALWAYS add the lye to the water and not the water to the lye. Doing it the other way around may cause the lye to react and combust. 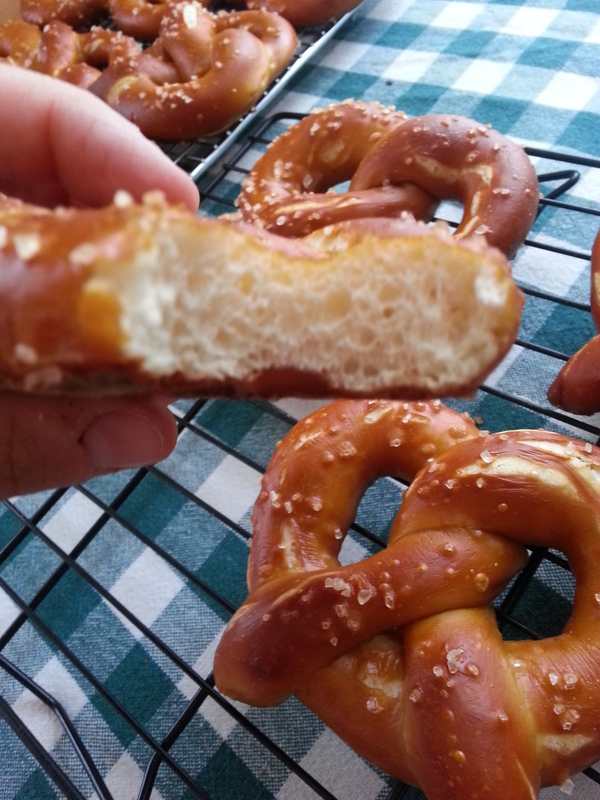 Dip each pretzel in the lye solution for 30 seconds and then place back on the parchment-lined baking sheet using a slotted spoon. 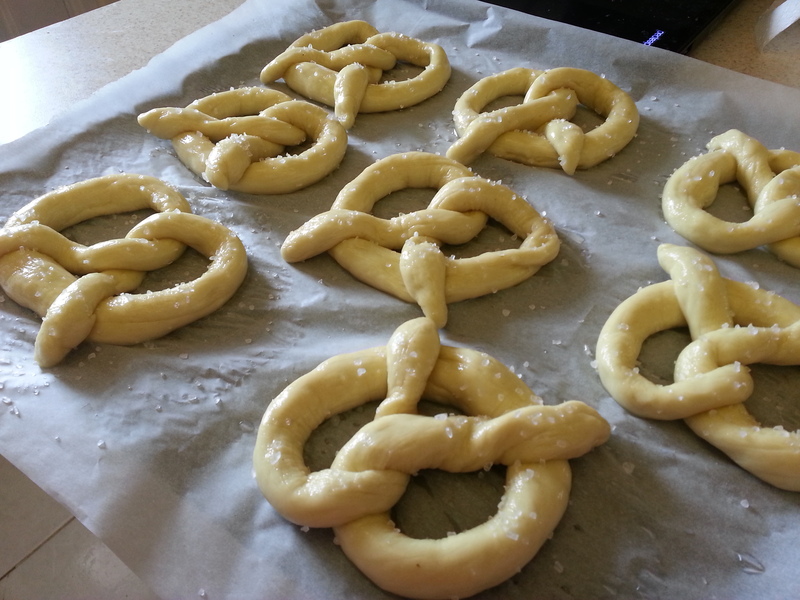 Sprinkle the pretzels with coarse salt and then let them rest for 20 minutes. Preheat the oven to 375 degrees F.
Wipe everything that may have come into contact with lye with a vinegar soaked rag and then wash with warm soap and water. This may be overkill, but if you have kids or pets around, better safe than sorry I say. I’d say that’s about right. This batch went off to the Arlington County Fair to be entered in this year’s baking competition. I certainly hope the judges find them rewarding.